Made with Polar fleece (hood) and 100% Polyester Microfibre (printed fabric section) with an adjustable drawstring through the hood. One size fits most adults 53 – 62cm head. Machine or hand washable and non iron. It will not fade or lose elasticity. The microfibre section is treated with Polygiene for odour resistance which the Thermal Pro fleece fabric offers superb insulation from the cold. Hoodie BUFF is a stylish and superbly comfortable hooded garment made for cold weather protection with a double layer of fabric at the neck for extra insulation. Long enough to cover the nose and mouth but a little less technical than its stable mate Hood BUFF. 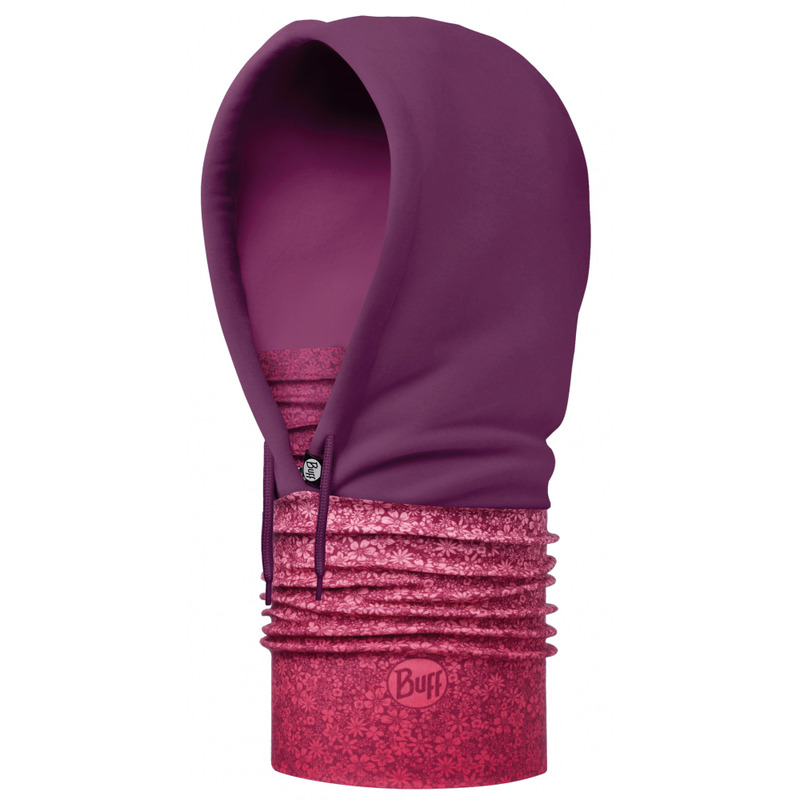 Hoodie BUFF is brighter, funkier and very wearable. Including the XXL Hood Sinister Black which is designed to go over the helmet. Worn around the neck, with the hood up or down and with or without the facial protection. Hoodie BUFF is ideal for skiing, snowboarding, climbing, running, skating, sledging, on the snow bike or motorbike.